Midwest Environmental Advocates – Doing Great Work!! Celebrate Water Door County is proud to present our 2019 Water Summit. A year of celebration and education will culminate with a three day summit June 4-6, 2019. 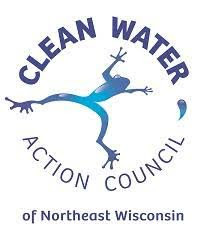 The summit is sponsored by Healthy Water Door County, a fund of the Door County Community Foundation,and The Enroth Fund of The Greater Milwaukee Foundation. A year of celebration has lead to this: a three-day summit at the Landmark Resort in Egg Harbor, featuring a keynote speaker, educational sessions, and field trips. For $35 you are able to enjoy four meals, your choice of 6 out of 12 educational sessions, a luncheon with author Dan Egan (The Death and Life of the Great Lakes), and a breakfast with Community Foundation CEO & President, Bret Bicoy. The keynote presentation is held at the Door Community Auditorium and is free and open to the public. Field trips are optional and presented at an additional, nominal, cost. Included in the summit activities is a Science Poster Project that gives high school or college students an opportunity to present a project among their peers and professionals. Click the Image above to find our more! Chick: summit schedule printout to print a schedule. 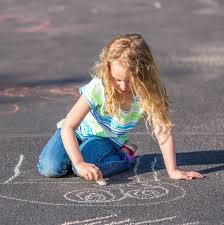 Coal tar-based pavement sealants are toxic to human health and harmful to our water resources. 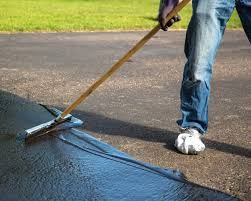 In the last two years, thirteen Wisconsin communities joined Dane County in passing local ordinances banning the use and sale of coal tar-based pavement sealants. Click HERE to find out more, or better yet, come to the upcoming program atCrossroads at Big Creek, Sturgeon Bay. John Hippensteel, president of the renewable energy firm Lake Michigan Wind & Sun, will speak on “Residential Solar Power: What’s Happening and How Does It Work?” for the Climate Change Coalition’s monthly program. It is free and open to the public. The use of solar power continues to expand rapidly across the United States, and installation costs are dropping significantly. As a way to reduce the use of fossil fuels, solar power will play an increasingly essential role in combating climate change and mitigating its worst effects. Hippensteel will discuss the practicalities of solar installation, operation and costs, and, more broadly, the state of the renewable energy industry in Wisconsin. Dr Warren Porter discusses new perspectives on pesticide use and their unintended health consequences at very low exposure concentrations. This talk was recorded on July 30th, 2018 and organized by the Climate Change Coalition of Door County. You can see more of their videos here: CCCDC.